First the good news: Nintendo's first smartphone game has a name, and it is 'Miitomo'. No prizes for guessing what it involves. Now the, er, other news: it's delayed until March 2016. Then this article from NintendoLife, which essentially says that it's not going to be very game-like - you answer questions about your personal life and can send the results to people on your friends list (again with the friends list!). That seems to be it, at the moment, and I can't help but feel it won't make much impact. Eh, sounds like the sort of app that could do okay if it's well-integrated with the major social media. Will it be, though? Well "the markets" are irate about this. I just couldn't care less. In a way, I'm glad that an IP that actually matters hasn't been sacrificed on the altar of the Mobile God. The BBC News website article on Miitomo is surprisingly kind, I'd say - the Beeb's journalists normally enjoy putting the boot into Nintendo. It just feels to me like Nintendo fans needed a really good piece of news out of the investor briefing... and this is not it. Good news is coming, but then it's been like that for a good couple of months. I couldn't careless the only thing of interest that has come from the event is the reward system coming and Nintendo have games still to announce and come out this year and that the Wii U has took 3 years to pass the Dreamcast but I'm going off-topic. Doesn't look particularly interesting as a standalone app but I'll reserve judgement till I see how it works alongside everything else. Regardless I still don't see mobile games as a legitimate important platform for Nintendo, firstly because I don't feel Nintendo will exploit the mobile gaming market in the same way most of the big money makers have and secondly because the quality will struggle to ever match up to that of their "proper" games. The President wants mobile to bring in more revenue then Wii & DS era over the next 3 years, that it surely is a important platform for Nintendo. I think what treesmurf is getting at is they will never view it to be as important as their console/handheld platforms. True - most of the time Nintendo bigwigs have been careful to state that the smartphone stuff they're doing is about 'driving people towards Nintendo hardware'. Personally, I reckon the "same as Wii/DS levels of earnings in three years" quote is about bullish confidence for investors. I don't want to go back over stuff I've said in the NX thread but I think it's a wait and see thing as if Mobile does bring in Wii & DS revenue but NX brings in Wii U revenue what one as business would you think is more important. Isn't all that to be connected to each other? (Mobile & NX) At least in the way that they all feed into one another so the scenario you keep mentioning may not even have the chance to exist but let's say it does though, do you think Nintendo would just drop the NX or use the revenue from mobile to give it a boost? I reckon the latter as they aren't just going to give up on what has been their main business since the 80's. Giving it a boost would surely means advertising something that would make change. Nintendo as we know adapt to the times, for what keeps them at highs they've been at as business for all these years. And I think they will do the same be it Mobile flops, takes off & same with the NX could be a very interesting 3 years to come from Nintendo. I read that as That's the Badger and was thinking are we playing Mao. Fronk is playing this at the moment and sharing stuff on his twitter like Nintendo's version of Trophies / Achievements and there called Missions. These missions are more closer to Uplay rewards than trophies/achievements since they give coins which are then exchanged bonuses/digital content. Dated! Just on the threshold of missing the March 2016 date with the 31st. Nintendo - always on the edge. 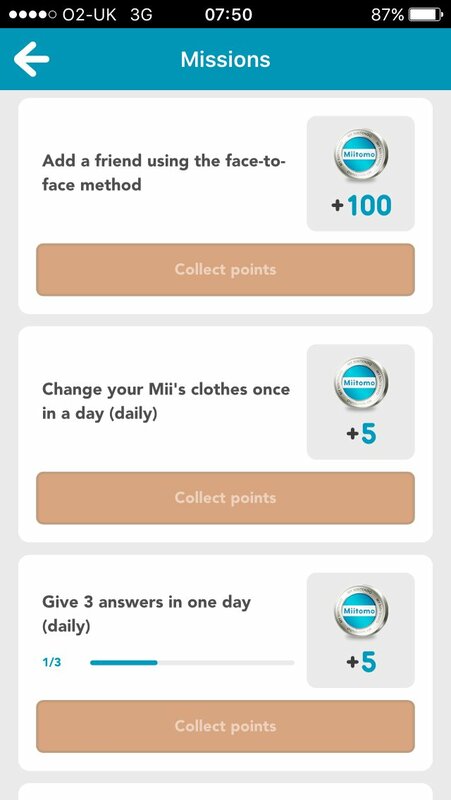 I'm more excited about My Nintendo and the new store, on it all combing into one now to buy downloads and earn rewards. That is a good point - being able to set something downloading whilst out of the house will be brilliant. And costly. Very, very costly.